We're five months into the Reading Challenge...how are you doing? Are you anywhere near your goals for tourist, scholar, or ambassador? Hopefully this post will help inspire you to stay motivated. At that link, you'll find other links to reviews by a number of diehard participants in the challenge. Damian has reviews for titles from Blatnik, Teodorovicis, Kompanikova, Stiks, Nodas, and Kovalytis. Linda has links to her reviews for Kadare, Slouka, Kertesz, Nadas, and Dragoman. Chrissie discusses Fraser, and Bernadette has reviews for Akunin and Eastland. Alister also discusses Akunin. Colleen reviews Pasulkas title and Jose reviews Miloszewski. WonderBunny tackles Lukyanenko, as Melwyk tackles Barclay. Lastly, CaptiveReader reviews Ignatieff and Pick. I didn't even bother with spell-check on that paragraph! Check out that link to discover the reviews and also enjoy the blogs of some of the participants. Next up: this link gives you a whole bunch of titles suggested by participants. Daisy really outdid herself with titles to explore: http://www.theblacksheepdances.com/2011/01/suggest-title-for-eastern-european.html. Lisa also has a link to her blog where she reviews some of the deepest of the Russian genre. It's appropriate that we are covering Eastern Europe, as Russia is currently the hot genre in publishing. The London Book Fair earlier this year focused on Russian novels and poetry. It's expected that Russian literature is going to dominate the next 18 months as Scandinavian crime did last year. Slavenka: A Guided Tour through the Museum of Communism: Penguin Books. Animals in fable-like stories act as symbols for the Communist era. Andrey Kurkov Death and the Penguin and Penguin Lost. Melville House. Russian based detective/crime with a humorous twist. Vladimov, Georgi. Faithful Ruslan. Melville House. A guard dog acts as motif. Ulitskaya, Ludmila. 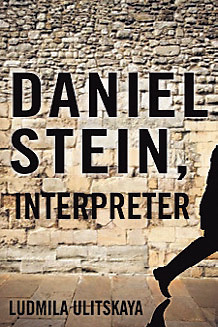 Daniel Stein, Interpreter. Overlook. True story of man who saved many Jews during the Holocaust. Sadulaev. 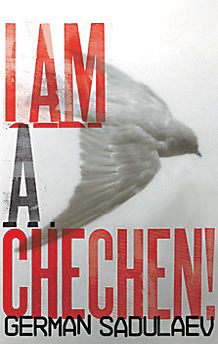 I Am a Chechen! Tin House Books. Short stories. Akunin. He Lover of Death. W&N. Lastly, there's a slew of Russian, Czech, and Slavic movies now available on Youtube and Netflix. 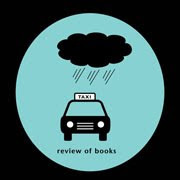 One, "Before the Rain" was discussed in detail Slavic Review's Spring Issue...it looks good but I haven't seen it. It's set during the Bosnian Wars and was nominated for an Oscar for Best Foreign Film. Coming up this week on this blog, a review of Molotov's Magic Lantern and a Serbian title called, enticingly, Leeches. Finally, the winner for the giveaway of Sofi Oksanen's Estonian novel, Purge, is Hamna. She's got 48 hours to respond. The next giveaway will be announced soon! Nice update, Amy! I'll be posting on my blog soon about some other upcoming Russian-English releases: there are a few more coming out this year. I'm hoping to see more interest in Russian fiction among American publishers thanks to a focus on Russia at the 2012 BookExpo America. Bringing 40 or more writers to New York is quite an undertaking! I'm also wondering about the Sadulaev book you listed: I'm not aware of a Tin House edition of I Am a Chechen!, though Tin House's Rasskazy book contains an excerpt. I think a piece in Russia Today probably meant to say that Harvill Secker published a full I Am a Chechen! 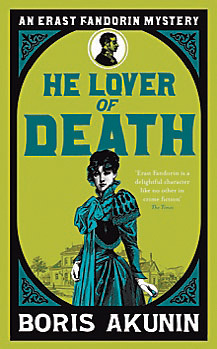 book in the UK; I see on Amazaon that a Kindle version is available, too, but nothing, currently, anyway, from Tin House. Great list! I didn't know Sadulaev had a book of short stories out. I read his short story on Chechnya in 'Rasskazy' and it was so sad and tragic. I heard there's a saying in Russia that goes something like this - one cannot talk of Chechnya without tears in one's eyes. Lisa might know more about that.